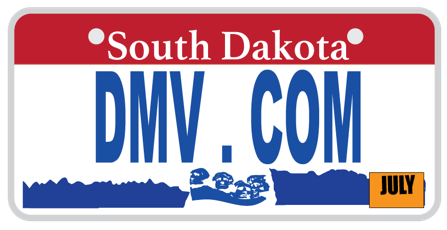 DMV.com was created to help simplify your life by providing you with all the vehicle related information and South Dakota DMV services you may need, in one place. Quickly find information and services regarding driving records, vehicle registration, drivers license renewal, license plate renewal, getting a learners permit, and finding a South Dakota Department of Motor Vehicles approved traffic school. Learn about DPS drivers license requirements in South Dakota. New drivers must obtain an SD drivers license before getting behind the wheel. Ordering your SD DMV driving record from the comfort of home is fast and convenient. Request your South Dakota driving record online today. Visit our SD online car insurance center to get low cost car insurance. The SD DMV requires drivers to have minimum car insurance coverage. Taking an SD traffic school course can reduce a driver’s demerit points and insurance premium. Discover SD online traffic school benefits. Completing an SD driver practice test can help you obtain a license. Take a DPS practice test online before scheduling your written test. Find SD car registration information, including online DMV services. Car registration with the DMV is required for all cars in South Dakota. South Dakota drivers education helps first time drivers to stay safe. See how taking SD drivers ed online conveniently assists new drivers. Learn how to obtain a car bill of sale from the South Dakota DMV. When you buy or sell a car, a bill of sale provides a record of ownership. Learn how to pay a ticket online in South Dakota conveniently today. Unpaid SD traffic tickets can lead to penalties from the DPS. Learn about South Dakota DUI laws and the state’s DUI consequences. A DUI conviction in SD results in serious penalties from the DMV. Discover the advantages of buying a car online, including easy DMV registration. Before you purchase a car in SD, consult these resources. Find South Dakota DMV locations and hours that are convenient for you. You can obtain DMV services at an SD DMV office near you. DMV.com is a privately owned website that saves you the time spent waiting in line at the DMV office. Find out everything you need about the South Dakota Division of Motor Vehicles just by clicking the articles we offer you. We strive to give you a straightforward information on the different requirements that SD DMV has for each type of vehicles such as motorcycles, boats and cars. The details that we offer you are easily accessible. You can use the “search” feature to find exactly what you need or navigate through the website and find other useful facts about all matters linked to SD DMV. Everything from obtaining a driver’s license to choosing a best auto insurance, you can find here. We also invite you to take part in upgrading DMV.com by sharing your thoughts at our Facebook page and giving your suggestions on how to make this site even more functional for our readers.